Meet & Greet Ellie Heller – GUTGAA Blogfest! 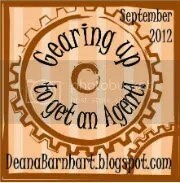 Gearing Up To Get An Agent Blogfest is kicking off with a meet and greet. What is GUTGAA? Starts out with a pitch polish and moves on to pitch contests (AGENTS) and a twitter pitch event and… a month of activities centered around one thing: helping people polish and shine to get the attention of an agent. Deana Barnhart, the fabulous organizer, has a list of FAQ here along with links to the schedule and the agents/small presses/authors who will be helping out. It’s a GREAT opportunity to learn a LOT, even if you don’t make it into the any of the contests. –Favorite time to write? First thing in the morning when the kids are at school. Or late at night when they’ve gone to bed. And that’s late! I have teens. –Drink of choice while writing? Mostly iced tea, despite the ensuing breaks *that* causes. –When writing , do you listen to music or do you need complete silence? When I am writing to create a new piece/first draft, it’s typically silence. Editing/revising it’s a mix. –What was your inspiration for your latest manuscript and where did you find it? My current work (not what I’m pitching) is a new adult fantasy. Several years ago Julie Czerneda had a contest on her SFF Newsgroup for a flash fiction piece, under 1k. I had been dealing with a lot of death in the family at that point so I ended up writing what is a core chapter for my current piece. –What’s your most valuable writing tip? Make sure you have good beta readers and/or critique group. And generally this doesn’t mean simply handing your piece around to family and close friends. You need someone who is going to be upfront about what works and what doesn’t. On Wednesday Deana will be offering writers the chance to connect with other writers to be help each other out as critique partners. BETA/Critique Group Connect – Anyone interested in making some serious writer connections can come to my blog and post in the comments section what they’re looking for and I will try my best to make a writer connection for you. If you don’t do anything else for this blogfest I *strongly* urge you go to sign up and find someone you can work with. I think this is so, so very important I offered to host some here, although she didn’t take me up on it. Wait, that’s it? Oh, right short bio. I’m a mother of three, two of whom are teens (one who just got his permit!!) and the other is ten going on seventeen (my little girl). We share our house with two large dogs, when I said I my only criteria was any dog we got had to be larger than our 18 lb cat, I hadn’t anticipated getting seventy pounders but I wouldn’t trade them for the world. I have one novella published and typically write fantasy stories – high fantasy, contemporary fantasy, paranormal romance. Clicking HERE to go to the main page for the blog fest and find more wonderful authors who have signed up. Because LINKY doesn’t work for me (it’s a wordpress thing) I’m going to post the link to the blog of the person who signed up after me for the Meet and Greet as well: Mere Joyce : A writer and a librarian, blogging about writing, librarianship, and whatever else catches my fancy! Stop by and say hello! This entry was posted in contests, critique, writing and tagged agent, Deana Barnhart, Ellie Heller, EllieWrites2, GUTGAA, julie czerneda, writing. Bookmark the permalink. Hi! Thanks for helping Deana out sorting the BETA readers. Would you like to have me as one of yours? Hi. Great advice on the crit partner thing. I signed up on the beta reader part, since I don’t have a chapter by chapter project going on right now, only the one I’m finished. I do hope to eventually find someone I can work with on an ongoing basis though. Anyway, as if I didn’t have enough to do, I got so inspired by all the awesome blogs on GUTGAA and decided to start my own blog. Now I’m kind of in desperate need of followers. haha. I’d love it if you could stop by and say hi! Good luck with GUTGAA! I agree, critique groups (once you find the right one) are invaluable. Enjoy the rest of GUTGAA. Hi Ellie, nice to meet you! I’m a big YA fantasy lover too. 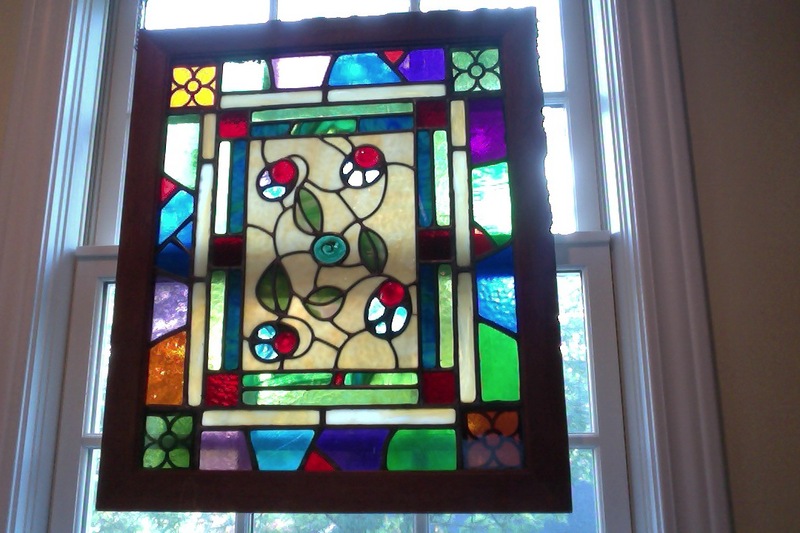 I love your stained glass window – what a beautiful thing to see while writing! Stopping by from GUTGAA – nice to meet you! That window is gorgeous! I agree with you about the importance of having someone else to look over your work. My husband is wonderful in that regard, but he has very limited free time, so I can’t wait to see who I get hooked up with for a critique partner. Your glass window is beautiful, it must provide some great focus while you’re thinking. I agree with the critique advise. Love, love, love my face-to-face group, I couldn’t write without them!